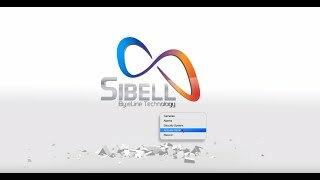 If you’re thinking it’s time for you to upgrade your security camera system, this Sibell 8 channel DVR package might be just what you need! This is a complete package (add up to one 6TB hard drive above) and even though the DVR is one of our mini units, the quality and capability are far from mini! The DVR can handle multiple technologies but for our purposes, we’re only going to be concerned with HD-TVI and that HD stands for High Definition! That’s right . . . 1080p aka 2 Mega Pixel video that will provide you with clear, crisp stunning images. All this and you don’t have to be a casino or a bank or some federal agency. Not only do these Alliance QUAD cameras offer 2MP video but the 2.8mm fixed lens gives you a great wide angle that allows you to see everything within a large area or more focused areas of concern. The cameras are rated IP66 so they can be used indoors or out and in case you’re concerned about that weather rating . . . we use them at our Florida location AND our Colorado location. If you have trouble areas that are poorly lit or have no lighting at all, you can stop stressing because these cameras have built-in IR (infrared) that allows you to see in total darkness up to 65 feet! Use the pull down menu above to add a hard drive to your order and we will install it, configure it and you will be ready to hook up everything right out of the box so you can get up and running as soon as possible. 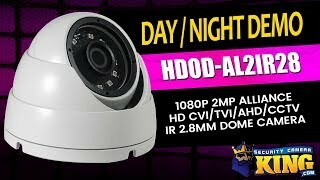 Connect to a monitor using HDMI, VGA or BNC connections and once you’re set up and connected to a network you will be able to view your security cameras from anywhere that you have an internet connection. There’s no need to install additional software of video cards with this since it already has a dual core processor, an onboard Linux OS and an easy to use GUI interface that allows you to configure everything with a few clicks of your mouse! Like we said . . . this is a complete package and that even includes all the necessary cable and power supply. You’ll get 8 premade, 100 foot HD plug & play cables and an 8 channel power supply. An additional benefit when you buy from us is a 2 year warranty on the DVR and 1 year on the cameras and we also include our US based tech support FREE of charge for as long as you own the equipment!